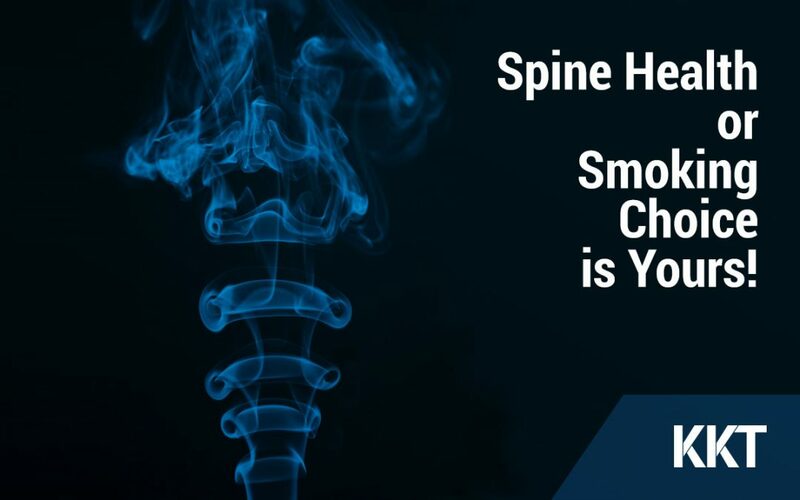 Spine Health or Smoking – Choice is Yours! If you are thinking about a legal drug, then that is nicotine. But we are not going to appreciate its legality. Many of us love smoking but this is definitely not an act to cherish! We are familiar with some common side effects of smoking like lung cancer, heart disease and depression, but it also badly influences your spine! Before it gets worse, you need to understand that how smoking can damage your back. Side Effects – The Very Crucial Ones! You might have heard of degenerative spine disease. The name very well specifies that it is the degeneration of spine. Although, it is true that this issue appears with age. But nicotine is also responsible for this unpleasant condition of your back. Nicotine constricts the blood vessels that surround the spinal discs. Required nutrients to discs will then cut off. The growth rate of disc cells eventually slows down which means there is going to be a big problem! We all know it is not that easy to quit smoking, but the truth is, nothing is impossible! If you are determined to do it, it means you can! You just need to focus on it. Just make a plan first. The best way to quit smoking is to do it gradually. You can reduce the number of cigarettes every two days. Be prepared when cravings strike! Plan to perform yoga at that time. Or you can start eating low-calorie snacks. Get rid of the smoking stuff that you have in your room like cigarettes, ashtrays and lighters. Use your favorite air freshener to alter the aroma in the environment. You have to be strong! There might be few bumps in this journey but stay committed! If anyone offers you, you should be ready to say no. If you feel that your spine is in danger, then you have to be quick! Call KKT Pakistan to get useful consultancy. This Orthopedic Spine Center will give you the advanced and painless treatment which means no surgery and no medicine! ریڑھ کی ہڈی کی صحت یا تمباکو نوشی، فیصلہ اب آپ کے ہاتھ میں! تمباکو نوشی کو ابھی چھوڑئیے!